A keen bunch of volunteers organise regular working bees, regular rides and events at Arch Hill. To get involved and for up-to-date information go to the Arch Hill Facebook page or email Logan. We are currently building a brand new trail and need your help! Meet at the Ivanhoe Road Carpark at 9.30 or else follow the footpath to the other end and find us there at the start of the new trail. Bring your own spade, pickaxe, rake if possible. Wear sturdy shoes (Gumboots would be ideal if it has been raining) and bring gloves. A water bottle and snacks would be good too. The club organises regular working bees to develop the MTB trail network in the Hunua Ranges. Auckland Council very helpfully provide tools, machinery and resources and the club provides the manpower. We go for a pre-dig ride, partly because it would be rude not to… but also to check for anything that might need maintenance. After that we regroup at the car park before getting stuck into the work. Meet at the Mangatawhiri carpark at 8.30am if you want to go for the warm-up ride, or at10.30am to rip straight into the digging. The club will look after you with a high energy lunch and our mates at the ranger station usually shout a BBQ afterwards – this is if you let us know you are coming! So us: trails@aucklandmtb.co.nz to be added to the mailing list, phone Hayden on 021 665 242. There is also the opportunity for you and your mates to get a team together and head out and work on the tracks any time of the year. Just give Ranger Scott Kusabs a call on ph: 09 292 4267 to confirm some appropriate dates. The Royal Albany Trailbuilders have a regular working bee on the second Sunday of every month. Head over to the RAT website for more info. Auckland Council are super keen to expand the track network at Totara Park and a new group has been set up to coordinate the trail building. Check out the Totara Park MTB Club Facebook page for details and to find out how you can get involved. 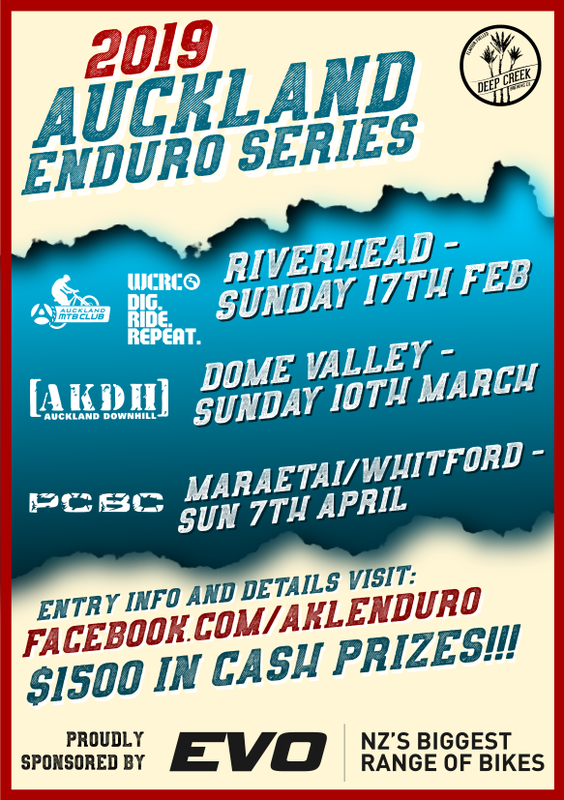 Organised by the West Coast Riders Club, check out the WCRC Facebook page for details.